SIG Sauer recently announced the release of its newest ammunition product line, a high-performance M17 9mm +P. Moreover, billed as military-grade ammunition, the M17 9mm is available in 124-grain SIG Elite V-Crown Jacketed Hollow Point (JHP) and Full Metal Jacket (JHP) training loads. Firstly, SIG designed each load to perform in any 9mm +P rated pistol, including the SIG P320-M17. Also, the two loads complement each other, providing a welcome training-carry combo. Likewise, each load delivers a muzzle velocity of 1,198 fps and muzzle energy of 395 ft.-lbs. Additionally, the V-Crown ammunition features a stacked hollow point cavity, delivering exception on-target energy with maximum weight retention, according to SIG. Meanwhile, the FMJ training ammunition replicates V-Crown ballistics, providing a more seamless transition when transferring from practice to carry ammo. Also, the FMJ ammunition utilizes copper jacketed bullets for affordable performance, according to SIG. Finally, SIG manufactures all Elite ammunition in the company’s state-of-the-art facility in Jacksonville, Arkansas. 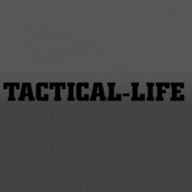 Additionally, the company offers a full line of ammunition designed for defense, hunting, competition and training. The post FIRST LOOK: SIG Sauer Introduces M17 9mm +P Ammunition appeared first on Tactical Life Gun Magazine: Gun News and Gun Reviews.